Perhaps you’re looking for money saving tips to get to your first $10,000 (or more!) or just want some ideas on how to work on your money management. Whatever your financial goal, these are some of the best money saving charts from around the internet to get you on track to achieve it. Not only are they good for setting out some financial concepts in a super simple way, but they can be a great reminder of just what steps you need to follow to get your finances under control. So to make sure they’re always at hand, grab your favorite and either pin it to Pinterest, save it as a PDF – or it could even make a great printable for your fridge door! To make it easier for you, we’ve divided these money saving charts into different topics. That way, you’ll easily be able to see which one is right for you depending on the area of your finances you want to work on. Creating a budget is easily the best thing you can do when trying to get your spending under control. It can sound daunting but, as shown in this step-by-step guide to making a budget, it’s absolutely not as hard as it sounds. So check out these money saving charts for some budgeting inspiration – or grab this template to get started for yourself! We’re huge fans of the 50/30/20 rule of budgeting around here. In fact, I think it’s one of the best ways to structure your budget and your spending to make sure that all your financial needs are being met. Our FREE budget template is also set up perfectly for putting this into action. So this money saving chart fits in super well with this by showing you just how the 50/30/20 rule works. I get it – making (and sticking to) a budget isn’t the most fun thing to do in the world. But if you’re finding it hard to follow your budget for more than a few weeks – let alone start one altogether – it’s time to sit yourself down and really ask yourself why. Especially when it’s clear that the potential benefits to your finances are huge! So check out this money saving chart that looks at why you might be failing at budgeting – and exactly how to fix that. Maybe starting a monthly budget isn’t for you. You could be paid at different intervals or your spending doesn’t quite align with that period. Either way, if that doesn’t fit your circumstances, that doesn’t mean you shouldn’t have a budget at all! So this money saving chart will show you just how to start a budget no matter how your money goes in and out. While cutting back on your spending is a great way to save money, we still all do have to buy some things in order to live. Like, say, food. So what I do to save money whenever I buy anything that I absolutely need is to always make sure that I use an app to get cash back on all my purchases. My absolute favorite for doing this is Swagbucks. It’s a super easy way to save money with zero effort. It does this by giving you cash back on all your purchases at literally thousands of online stores. All you do is sign up and, in about two clicks, any cash back you earn is paid to you through gift cards for places like Starbucks, Walmart, Amazon and even PayPal – which is essentially like getting straight up cash. Better yet, if you sign up for free through this link (which takes about 10 seconds – although don’t forget to verify your email address! ), you’ll get a $10 welcome bonus! I’ve found it to be a great way to save at least 5% – if not more! – on all my shopping. This money saving chart has some great tips for saving money on your grocery shopping. Not only does it mention using an app, like Swagbucks, to save money on food, it also mentions my other favorite tip: meal planning. While I try to do this every week, it can definitely be a struggle to think of new things to cook each week. So in my case, I like to get around this issue by having the meal plans sent directly to me. For that, I use a service called $5 Meal Plan. It costs, surprise surprise, $5 per month – meaning that for only $1.25 per week, they send me meal plans, recipes and shopping lists. I can’t stress this enough: the amount of money AND time I’ve saved is worth way more than $1.25 per week. And better yet, the recipes only cost about $2 per person to make, so my wallet’s even happier about it. Take a look by signing up here for a 14-day free trial! Another great tip for saving money on your shopping is to buy seasonally. And that doesn’t apply only to food! Take a look at this money saving chart to see how buying almost anything at certain times of the year can save you a ton. Here’s another great money saving chart packed full of grocery shopping tips. One of the ideas it mentions that the earlier one didn’t is to always shop with a list. This is one of the most important things we did to save $300 on our groceries in just one month. If you’re interested in doing the same, make it easier on yourself by grabbing this FREE shopping list (with a bonus meal planner!). Sometimes the best way to start saving is to appeal to your sense of competition. Even if that competition is with yourself! So these 19 SIMPLE MONEY SAVING CHALLENGES TO HELP YOU SAVE MORE could be just what you need to kickstart your brand new saving habit! Use these challenges to save almost $500 a month or anything from $1,050 to $13,780 in a year! Sometimes we just need some money saving tips to show us how saving more money can actually be really easy. In fact, there are probably a ton of areas in your life where you could cut back your spending that you haven’t even thought of. So this super simple money saving chart will give you some great ideas on where you could start to save more. The best thing you can do for cutting back your spending is to focus on your big expenses. For example, you’re going to save a lot more money on rent or your mortgage if you choose to live somewhere that’s no bigger than what you need, compared to the savings if you stop buying your daily coffee. But that doesn’t mean you shouldn’t try to save on smaller expenses too as they can really add. To see how, for example, some savings around the house can add up to around $8,800, check out this money saving chart. This is another great, easy-to-use money saving chart that does just what it says on the box: gives you simple, doable money saving tips. And the graph down the bottom shows just what you could be doing by simply plugging your numbers into Excel! It also shows that it’s fine if your spending doesn’t go straight down immediately (like if you have a bit of a blip like this person did in March) as long as your expenses decrease in the end – and stay down. Not all attempts at saving are good for you – in fact, some can actually cost you more in the long run. So this money saving chart will show you the things you definitely want to avoid if you’re working at saving more. The book The Millionaire Next Door involved the author interviewing a bunch of millionaires in the US to find out how they got to where they were financially. And in the vast majority of cases, it was really very simple: spend within your means and make your money work for you. They also had a range of other very simple tips that even non-millionaires like you and me can implement in our lives. Luckily for you, if you can’t be bothered reading that book, this money saving chart is a great visual for many of those tips. While saving money in itself is a great thing to do, it can also be good to focus on the end goal with what you want to do with all those savings. And once you’ve paid off any high-interest debt, the best thing you can do is to make your money work for you by investing. Which is where these money saving charts come in, by showing you just how amazing this can be for your finances. It can be a little scary to start investing if you have no idea what you’re doing and the only image that comes to mind is a bunch of guys in suits on Wall Street yelling at each other. Luckily, that’s not quite what you need to do. In fact, did you know that the most common (and most successful over time) type of investment in the US is much simpler, cheaper and more low-risk than what those so-called stock market gurus are dealing with? Grab this FREE e-book for more information on just how you can get started with investing in this way – it’s exactly how I invest my money, so I’m definitely putting my money where my mouth is! Warren Buffet is one of the most well-known investors in the world. With a net worth of around $62 billion, he’s also renowned for making investing accessible to ‘normal people’ like you and me. So this money saving chart sets out just how he made his fortune – and how he recommends that you do the same. That’s the dream, isn’t it? To retire (preferably early!) with a seven figure net worth to earn those sweet dividends for the rest of your life. Fortunately, becoming a millionaire doesn’t actually need to involve winning the lottery. It’s completely doable for everyday people on everyday salaries, if you just follow the tips in this money saving chart. No matter how far (or near) age 65 is for you, it can be helpful to see just how your regular saving and investing habits will pay off once you reach that milestone. This money saving chart shows just how much your money will be worth even if you’re only saving a relatively small amount each month. So imagine how the magic of compound interest will work for you if you save even more than this! Not sure how the small amounts you’re squirrelling away are going to add up over time? Take a look at this money saving chart then! It shows that, for example, if you’re 30 years old with no savings, you can start saving $14.34 per day (or $436 per month) and be a millionaire by 65! While we can talk for hours about all sorts of financial concepts, at the end of the day they all boil down to a few simple points. And this money saving chart is a great visual for that. While I’d recommend saving more than the 2%-5% it recommends, the rest is absolutely on point and gives an excellent summary of where you should be focusing your financial efforts. There are a bunch of ways to save money while you’re a college student. But when you graduate, that’s when it becomes really important to make sure you manage your money the right way from the word go. Not only will that immediately put you ahead of everyone else in your cohort, but it’s especially good for ensuring that you start chipping away at student loans immediately without, say, taking on more debt. So this money saving chart is great for setting out just what new grads should make sure they’re doing from day 1 as a “real adult”. As people keep showing us time and time again, it’s way too easy to stumble into money mistakes. So make sure you learn from their errors and don’t do the same! This money saving chart shows a range of the mistakes that people like to make with their money and what you should do it avoid these, like developing a source of passive income and, yes, making a budget. There are so many “money rules” we’re told that actually end up being absolute rubbish. For example, my parents were adamant that buying a house is the only way to be financially secure. But when I ran the numbers, it turned out that renting was far better for me from a financial perspective. So take a look at this money myth and many more on this money saving chart – who knows, it may just disprove something that you too have been told for your entire life. Getting out of debt is one of the best things you can do for sorting out your finances. While it’s far from the easiest thing you’ll ever do, it’s definitely worth it in terms of putting yourself on the path to financial freedom. And our step-by-step guide to getting out of debt will show you exactly how you can do this. That said, if you need something to light a fire under you to really get you started at paying off your debt, these money saving charts could be just what you need. While creating your debt payoff plan is half the battle, it can also be a struggle to stick with it. So these tips are perfect for making sure you follow your path until its debt-free end. Increasing your credit score can save you literally tens of thousands of dollars in the long term due to it allowing you to take advantage of more favorable borrowing rates. For example, if your credit score is above average, the interest rate on your mortgage will probably be lower, resulting in you saving a ton of money. It can be hard, though, to know where to get started at improving your credit score. Well, the first step should be finding out your credit score – after all, you can’t improve it when you don’t know your starting point! Fortunately, you can check your credit score for free here. And it only takes a couple of minutes! And for your second step? Well, take a look at this money saving chart for how you can increase your credit score. It’s no secret that getting out of debt is one of the keys to financial freedom. But it can often seem that this is easier said than done. However, there actually are some pretty basic principles that apply to everyone, no matter what stage of your financial journey you’re at. Particularly: spend less than you earn. So this infographic is great for showing you what these steps are – and, hopefully, letting you see that you can definitely apply these tips to your own finances. Given that housing costs are often the biggest part of your budget, it can make a HUGE difference to your finances if you work out how to save money on this expense. So with a bit of math and the magic of compound interest, this money saving chart will show you how you can save a ton on your mortgage. If you’ve done any sort of Googling into how to pay off your debt, then you’ve definitely heard of Dave Ramsey. He’s a guru on getting out of debt although… brace yourself… I don’t actually agree with his strategy. In a nutshell: he says you should pay off the smallest debt first, as it’s super motivating to get a “quick win”. While that’s true, our strategy for paying off debt will actually save you thousands of dollars more in the long run. That said, there’s no denying that Dave Ramsey has helped plenty of people get out of debt. So if that’s the strategy that you think is going to work for you, then take a look at this chart to see what your finance journey might look like! Did you know that, depending on your mortgage terms, adding only $100 a month to your repayments can save you $39,900 in interest and shorten the payoff time from 30 years to 21 years? This money saving chart is here to show you how! And given how many ways there are to earn an extra $100 every day, let alone every month, this is definitely great motivation to push yourself to really focus on getting rid of your mortgage. These money saving charts have some great tips for saving money on all sorts of things around your house. And as an added bonus, many of these ideas help you save money while saving the environment! Utility bills represent a huge chunk of most household budgets so finding ways to cut them back can make a big difference in your personal finances. This money saving chart shows you ways to do this, but you should also consider trying the totally FREE service offered by Trim. It’s an amazing app which looks at your recurring subscriptions and finds out just how you can cut back on spending. Better yet, it’s totally free to try and, on average, saves users $10 per month on their bills. To see if you can use Trim to save some money or to give it a try, check out this page. This money saving chart gives some great examples of how being environmentally friendly can also be financially friendly! I’ve even used many of these tips around my own apartment. For example, did you know that an LED bulb will save $132 in electricity over the life of the bulb compared to a regular bulb? At the same time, this 12-pack of LED bulbs costs only $3.23 per bulb! Or that this high efficiency showerhead (that I own!) costs just under $40 but that it will save between $50 to $150 in water costs each year plus around $67 PER PERSON annually in water heating costs? It definitely pays off – literally – being more energy and resource efficient! Another day, another great money saving chart with tips on how to cut back on your energy usage – and your spending. This one mentions unplugging your appliances as a way to do this. However, if you’re like me and you know you’ll probably forget or won’t bother to do that, consider getting a smart power strip like this one. doubles as both a surge protector and a nifty little thing that shuts down electronics when it detects that they’ve gone into standby mode. It can save you a ton of cash. For example, this article states that experts believe that standby power consumption in an average home ranges from 5% to 10% of your household energy consumption. In this article on things you should stop buying to save money, one of our main tips is that you shouldn’t waste money on cleaning products. Instead, white vinegar can replace pretty much all of your cleaning supplies – and at $4 for half a gallon, you can seriously clean just about everything in your house. It’s a fabric softener, carpet cleaner, floor polisher, drain cleaner, window washer, oven cleaner and deodoriser – all for next to nothing! We’re often told that buying a house is a key part of adulting and that owning your own place is the only way you’ll be financially secure. But the math shows that this actually always isn’t the case. For example, if you don’t think you’ll be living somewhere for more than five years, it’s generally better to rent so that you don’t pay a small fortune in fees related to buying a property. Also, going into a significant amount of debt for a mortgage – along with all the other costs involved in owning a house – simply may not work for you. 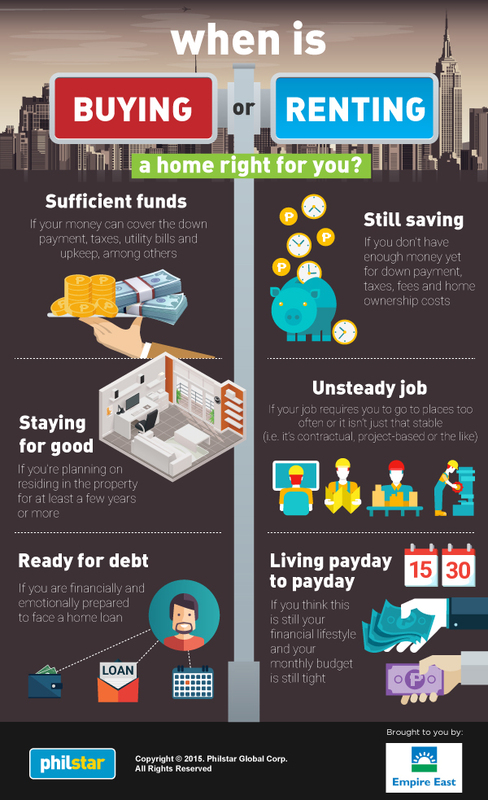 In both these cases, renting is often the better financial choice in the long run. If you don’t believe me, this rent v buy calculator from the New York Times will show you the numbers. In the meanwhile, take a look at this money saving chart for some tips on which option may be best for you. This money saving chart will show you just how your yard maintenance may be costing you a small fortune in water costs. So with a few simple tweaks to your watering habits or perhaps by replacing that old leaky hose, check out just how you can save some cash. So now we’ve seen how to save money on things like your yard maintenance, electricity and cleaning around the home – but what about everything else? Luckily, this money saving chart covers just about every other area of your home where there may be opportunities to save. Take a look to get some tips for how you could take a few minutes this weekend to improve your money saving abilities. It’s not only your yard where you can save money on water – what about the rest of your house? You’ll often hear that one of the best money saving tips out there is to get rid of your car and use public transport or a bike instead. But if that’s not an option for you, then you should at least aim to buy the most economical car for your circumstances that you can. So these money saving charts will show you just how you can save money on your car! Another great way to make your car more budget-friendly? Use it to make money by driving for Uber! Sign up to be an Uber driver here to get started. Did you know that the time of the year – and even the time of the day – can affect your car price? Take a look at this money saving chart for how the time of day, week, month and year could save you serious cash on your car purchase. The way you drive your car can really affect how much you spend on gas. Which means just by incorporating a few of these tips into your driving, you’ll be able to save a ton in the longterm. In my opinion, traveling is one of the best things you can spend your money on. But there’s no question that it can be expensive. That said, there are definitely ways that you can save money and still see the world (or some of it, at least). And these money saving charts can help you with that! $100 in different countries can mean very different things. From experience, I could last several days on $100 in Sri Lanka. In Norway, however, I would barely be able to get off the plane for that amount. So this money saving chart is a great way to immediately see which places are more budget-friendly than others – which is great for starting to budget for an overseas holiday! Sometimes it’s good to just have a reminder on some good, simple ways to save money. They may not be mind-blowing, but they definitely work. And that’s where this money saving chart comes in! It’s definitely true that some of the “must haves” for travel are absolutely not needed at all. At the same time, having a couple of these things can save you both time and effort – which can be invaluable when the fun in traveling is being replaced with pure exhaustion. I don’t agree with everything on this list (I love traveling with my Kindle, for example). But there are definitely some good ideas for what to pack and what can be left behind. Where you stay can make a huge difference to your trip – not to mention your budget, given that accommodation costs generally take up a huge chunk of your travel budget. So take a look at this money saving chart for a range of tips on how you can save on accommodation during your next vacation. If you’ve ever flown anywhere, you’ll know how it’s not just the plane tickets which can eat into your budget. Instead, it’s those pesky hidden fees for things you didn’t even think of – until you’re presented with a bill at the airport for that bag you could have sworn you were allowed to check in for free. Which is why this money saving chart is great as depending on your circumstances, it can show you how you can be strategic with your flight bookings and not throw money away on unnecessary fees. If you’ve got kids, teaching them how to save money is one of the most important things you can do for setting them up for the future. Even simply showing them the value of money and that it doesn’t just grow on trees can be immensely helpful for making sure they develop great financial habits at a young age. This is an excellent money saving chart for capturing a bunch of things you could be doing for teaching your kids about money. With these simple tips, you’ll easily be able to start showing your children the value of money – which is definitely a habit they can take into the years ahead! This money saving chart doesn’t exactly show you how to teach your kids about money, but it does show how kids tend to use money as well as where they are learning about financial issues. Which can then help you see where you should perhaps address some knowledge gaps in your own kids. With all the different topics that these money saving charts relate to, you’ll definitely be able to find one that can help you save money in an area of your life. They’re especially great for breaking down often complicated issues into an easy-to-read infographic. Now the next step for you to take is to put them into action! Do you have any other money saving charts that have really shown you a financial issue in a new light? Share it with us in the comments!